The 3 Pointer has a classic style with plenty of room for your daily essentials. 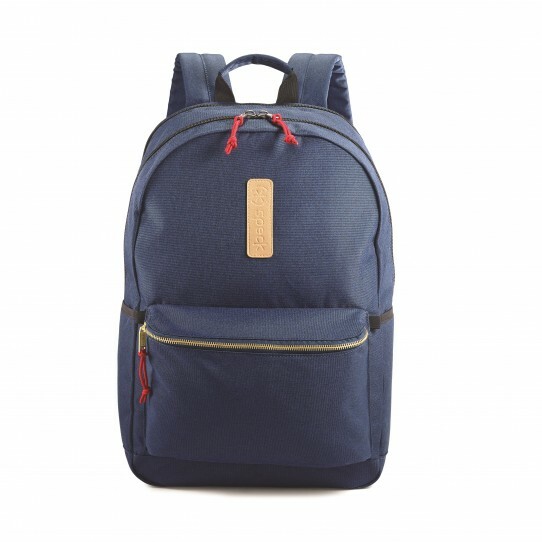 The backpack’s rear compartment is padded to protect your 15-inch or smaller laptop. The main compartment is roomy enough for binders and notebooks, plus a sweater and lunch bag. Two pockets hold small items like cables, keys, and chargers, and there’s a soft-lined tablet pocket too. The front pocket offers ample space for pens, notecards, charging cables, and more. Finally, two water bottle pockets hold beverages and other small items. The durable polyester fabric holds up to everyday wear and tear. Padded laptop sleeve protects most 15-inch laptops. Tablet sleeve secures and protects a tablet or e-reader with a soft lining. Strong fabric exterior withstands years of wear and tear.